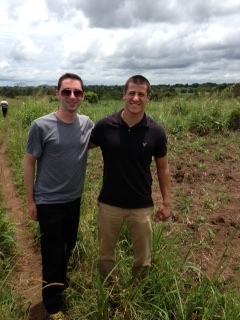 Today we worked with The Water Trust in the villages outside of Masindi. We drove with The Water Trust workers Lynet and Tadeo to Nyakatoogo to see the progress on a well they are building there. They were currently about 13 feet deep but need to go an estimated 10 feet more before the well can be finished. 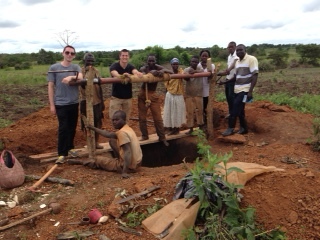 We were surprised to learn that they dig these wells by hand with pick-axes! 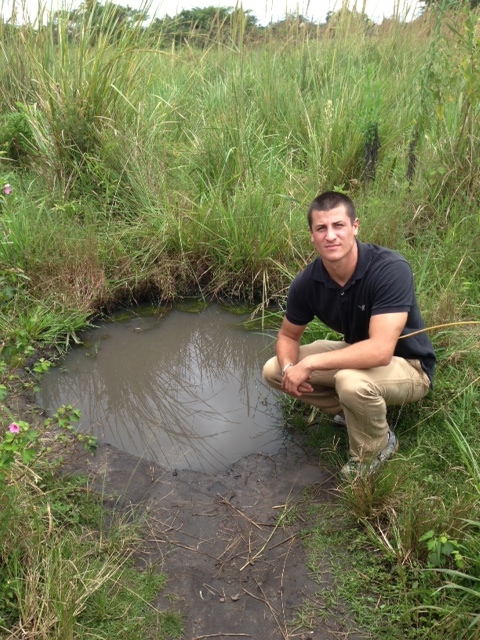 The village submits an application to The Water Trust that they want a well and then they supply the labor to dig it. 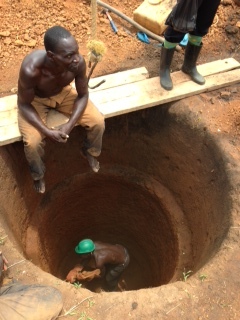 They take turns going into the well to dig; one man was down there when we were visiting. The villagers then showed us the current water source that they use which turned out to be a spring about 5 feet deep that looks very unsafe to drink. They told us that they don’t boil the water because it would ruin the flavor and it also helps them grow big and strong. The Water Trust works with these beliefs and educates the village about clean drinking water and proper hygiene before the well opens. We toured a few nearby homes to see if they were ideal homesteads. An ideal homestead has a proper latrine, separate houses for people and animals, and a drying rack for dishes. All homes that are to be served by the well must be ideal homesteads before the well is allowed to open. The houses we saw were all missing something but they were working on complying with The Water Trust’s standards. 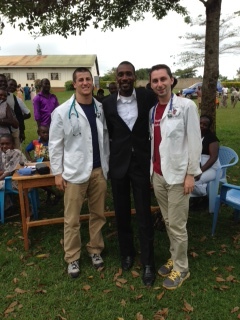 All of the people we met were very kind to us. They shook our hands, brought us chairs, and one woman even bowed to us. Then we drove to the second village called Kyakacunda, which already had a completed well that has yet to open. We saw a few more homesteads that aren’t yet up to The Water Trust’s standards but are almost there. 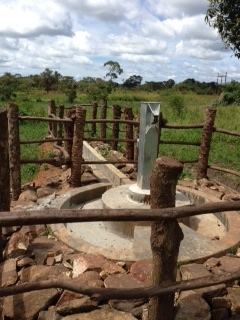 The well has been finished for about 2 months and will be opened as soon as all of the villagers comply with the health and sanitation standards they agreed to before construction began. 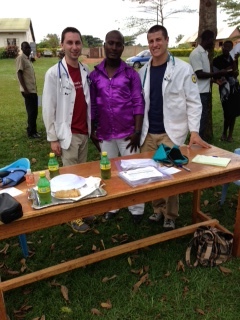 It was an interesting cultural experience and we learned so much about hygiene, health, and sanitation in outlying areas in Africa. Once again the cultural experience is amazing. Thanks for the post!